The Municipal Art Society of New York (MAS) has played an active role in the rezoning of East Midtown. In 2012, MAS engaged planning, preservation, and development practitioners to explore ways to maintain East Midtown as not only the city’s premier business district, but as a vital, working neighborhood. This effort culminated in the report, East Midtown: A Bold Vision for the Future, issued by MAS in February 2013, which laid out a framework for reinvigorating the area’s public realm, improving transit infrastructure, encouraging a vibrant mix of uses, protecting the area’s valuable historic resources, and fostering forward thinking sustainable design. East Midtown skyline. Photo: Wikimedia Commons, Dimitry B. from London. MAS and many other stakeholders found the 2013 East Midtown rezoning proposal to be deficient in achieving critical goals, and it was later withdrawn. Mayor de Blasio then formed the East Midtown Steering Committee, including MAS, to spearhead a stakeholder-driven effort. In October 2015, the Steering Committee issued its Final Report which included recommendations that, with a few critical exceptions, by and large frame the current Greater East Midtown Proposal with a few critical exceptions. Mindful of the congestion in the area’s public transit stations and sidewalks, the limited open space in the area, and the incremental 28,000 workers expected under the plan, we find the proposed improvements under the Public Realm Improvement Concept Plan to be fundamentally deficient. MAS is also concerned about the role the Public Realm Improvement Fund Governing Group will play and that Privately Owned Public Space (POPS) have largely been ignored under the plan. The current plan proposes over 300,000 square feet (sf) of ROW improvements under the Public Realm Improvement Plan, including, but not limited to, pedestrian plazas near GCT (i.e., Pershing Square, Park Ave West, East 43rd Street), pedestrian improvements along the Park Avenue median, and the inclusion of shared streets within the district. However, at present, unlike the proposed transit infrastructure improvements, these measures are not codified into the text amendment. Without including these improvements in the zoning text, there is little assurance that they will be implemented. Central to the proposed amendment is the Public Realm Improvement Fund, into which contributions would be made from a portion of each transferred landmark development right or when developments on qualifying sites seek to exceed the proposed maximum floor area ratio. The public realm improvement fund floor price has been set at 20 percent of each TDR sale, or a minimum contribution of $78.60 per square foot. The floor price will be evaluated by qualified professionals and will be reviewed and adjusted by CPC at least once every three years. MAS strongly urges the city to work with the Steering Committee to establish firm criteria for a floor price that is sufficiently flexible to adjust to potential fluctuations in the real estate market and ensures the availability of funds for the necessary public realm improvements under the proposal. MAS questions whether the Public Realm Improvement Fund, which draws from contributions from the additional floor area for the reconstruction of overbuilt buildings and a portion of transferred development rights from landmarks, is sufficient to address the transit infrastructure improvements identified by the MTA. MAS suggests exploring additional funding sources beyond the improvement fund, including the MTA capital budget, tax increment financing, PILOT financing (Payment in Lieu of Taxes), equitable road pricing, and Transit Assessment District benefits. Under the current proposal, the Public Realm Improvement Fund will be managed by a nine-member governing group, five of whom will be selected by the Mayor. We understand the City is amenable to adding a member from a civic organization, while keeping a majority of mayoral appointees. The group has the responsibility of prioritizing improvements to be funded under the Concept Plan and would address the future public realm needs of the Subdistrict. MAS asks the City to provide the precedent by which the group framework was conceived, particularly with regard to efficacy in executing and allocating funding, which is critical to the success of the proposal. MAS urges the city to explore mechanism for improving the public realm through temporary and permanent art installations in existing and new public spaces in the district, including POPS. While we recognize that current proposal relaxes certain stacking rules which will permit non-residential uses such as restaurants and observation decks in new buildings, we also urge the city to explore ways of utilizing floor area on second and third levels of existing and proposed buildings for public space, gardens, and art displays. One of the city’s stated primary goals for the proposal is to incentivize state of the art development and “to facilitate modern and sustainable buildings.” Under the current proposal, qualifying sites would be required to either utilize the area’s steam network or exceed the Core and Shell 2016 Energy Code Standards by three percent. Seeing that the build year for proposed development under the plan is 2036, MAS questions whether the sustainability and energy efficiency goals of the project go far enough. As outlined in the Steering Committee recommendations, new developments should achieve LEED Gold™ standard for the core and shell of the buildings. Alternatively, developments should achieve more than three percent energy efficiency-MAS recommends 15 percent-above the City’s Energy Conservation Code (NYCECC) standard. In addition, since the proposal would likely result in wholescale demolition of pre-1961 buildings, we recommend that the city explore sustainable practices, guided by LEED or equivalent standards, regarding the reuse of demolition and construction materials. MAS recommended a variety of retail uses throughout the 78-block project area. However, the proposal calls for an incremental increase of only 139,000 gross square feet (gsf) of retail space, in comparison to 6.6 million gsf for commercial office space. As such, MAS recommends that the text amendment include provisions for a mix of retail, restaurants, and entertainment venues to increase the vibrancy of the area. Since 1981, the Zoning Resolution has allowed commercial buildings to be converted to residential without regard to generally applicable bulk regulations if certain criteria are met (e.g., built in 1961 or earlier, exceed 12 FAR, and have zero residential floor area). Based on this criteria, over a hundred buildings, representing millions of square feet, would be eligible for residential conversion in the project area (see Figure 1). Because this would be contrary to the stated goals of the proposal, MAS urges the city to explore mechanisms that would restrict residential conversions. MAS also urges the city to develop bulk controls to protect important view corridors to historic buildings within the rezoning area. 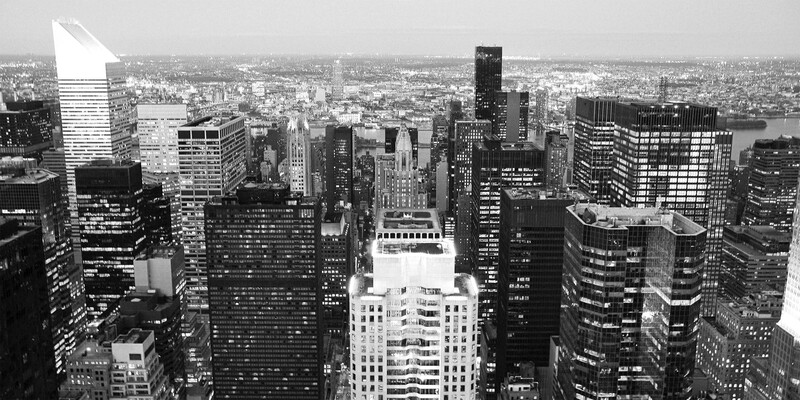 As shown in the photosimulations in the Draft Environmental Impact Statement (DEIS) “Chapter 7: Urban Design and Visual Resources”, certain proposed new development would result in adverse impacts on many view corridors, particularly those of the Chrysler Building, Chanin Building, and Waldorf Astoria Hotel, despite the conclusions to the contrary in the document. MAS believes that the modifications to the daylight evaluation methodology proposed under Section 81-663 of the text amendment that lower the scoring standards for qualifying sites and would allow more encroachment from larger and taller buildings would be highly detrimental to the preservation of light and air on the public realm. The daylight evaluation methodology embedded in the Special Midtown District zoning height and setback regulations in 1982 draws from decades of combined effects of as-of-right building bulk regulations. We find that the current proposal ignores rules that were based on a reliable record of community expectations about the sunlight that reaches our public realm and potential impacts from developments in Midtown to allow taller buildings (Michael Kwartler and Raymon Masters, Daylight as a Zoning Device for Midtown, New York City, 1984). Third Avenue is a transition in both land use and between the high-rise business district to the west and the low-scale residential communities of Turtle Bay and Tudor City to the east. MAS has identified 13 properties with less than 50 percent of their lot surface within the proposed East Midtown Subdistrict, eight of which are on the eastern boundary, adjacent to lower density development in Community Board 6 (see Figure 2). The DEIS does not include a list of projects for the No-Build Development Scenario. This is particularly important for the shadow analysis, since it is not clear which buildings have been included in the baseline condition used for the analysis. Shadows – The DEIS evaluated shadow impacts of proposed and projected developments on open space and historic resources in the project area. Although the evaluations show new incremental shadows they do not indicate from which sites they would come from, nor does it include the height of the buildings used in the analysis. Therefore, we expect that the FEIS will be revised to include these two important components of the analysis. The DEIS evaluated shadow impacts of proposed and projected developments on open space and historic resources in the project area. MAS is greatly concerned about the shadow impacts on Greenacre Park, one of only three vest pocket parks in the city. Despite the DEIS’ conclusion in the DEIS that the incremental shadows from developments under the proposal would not affect vegetation or the public’s enjoyment of the park, MAS believes substantive mitigation measures, including, but not limited to, height and bulk limitations, should be implemented to reduce shadow impacts on Greenacre Park from projected and potential development sites: 7, 10, 11, 7, J, C, D, and JD. In addition, the DEIS identified adverse shadows on St. Bartholomew’s Church and Community House and recommended as potential mitigation the installation of artificial lighting on the exterior of the building. MAS questions the validity of this approach and strongly urges that the EIS include an evaluation of potential bulk regulation changes that would reduce shadow impacts on this historic resource, as indicated in Chapter 22: Unavoidable Adverse Impacts. Open Space – The DEIS concludes that because the CEQR threshold for evaluating open space impacts has been exceeded based on existing conditions (ratio of daily worker population to available passive open space), no quantitative analysis would be conducted since the project would not be able to achieve the city’s goals of 0.15 acres of passive open space per 1,000 non-residential users. Although MAS understands that CEQR regulations hold that if thresholds are exceeded under existing conditions, no further quantitative analysis is required, we are duly mindful of the incremental 28,000 new workers anticipated under the proposal and the additional open space these numbers would demand. We argue that this condition further underscores the need for POPS to be explored thoroughly as part of the overall proposal as a way to increase and improve open space in the project area. Transportation – The DEIS identifies significant impacts at pedestrian access ways at three subway stations (GCT, 42-Bryant Park and Lex-53rd), two of which would be unmitigated under the proposal. MAS contends that the pre-identified transit improvements under the proposal should have anticipated and addressed potential adverse impacts to pedestrian circulation at transit stations in the project area. Urban Design and Visual Resources – We find the evaluation of the proposal’s impacts on critical view corridors to be highly flawed. Although many of the photosimulations contained in the DEIS clearly show that development under the proposed action would obscure critical views of historic buildings, in particular, the Chrysler Building, the Chanin Building, and the Waldorf Astoria New York Hotel, the DEIS concludes that no adverse visual resource impacts would occur. Therefore, we expect the FEIS to include an accurate analysis of the proposal’s impact on view corridors, particularly those that would be affected by the rezoning and subsequent redevelopment of the Pfizer World Headquarters site (235 42nd Street) and substantive mitigation measures (e.g., bulk regulation changes) that would reduce impacts on visual resources. Alternative and Alternatives Conceptual Analyses – For a project of this magnitude, we find the DEIS Alternative and Alternatives Conceptual analysis Analyses to be greatly deficient. We strongly urge the FEIS to include a robust analysis of the shadow impacts of the Proposed and Projected Development Sites that would use the Special Permit option to allow additional floor area. The DEIS discusses which qualifying development sites could increase density by a 3.0 FAR by utilizing special permits to construct a public concourse, make transit improvements, permit a hotel, and modify the Subdistrict’s bulk and qualifying site regulations, but it does not include an actual analysis of this or other alternatives to the proposal. At a minimum, we expect the FEIS to include an evaluation of shadow impacts on open space and historic resources from the sites that could utilize the special permit option to increase FAR and building height. As a member of the Steering Committee with a long history of involvement in the rezoning of East Midtown, MAS generally supports this proposal. However, we remain extremely concerned about a number of critical issues and urge the city to incorporate our recommendations regarding proposed public realm improvements, further scrutiny of the Public Realm Improvement Fund Governing Group, codification of identified public realm improvements, exploration of POPS as a viable option for enhancing and increasing open space, regulations to prevent housing conversions, the inclusion of art in public spaces, and utilizing upper floors of buildings for additional public space and gardens. We also strongly recommend that the city revise the eastern boundary of the proposed Subdistrict to protect the critical transition area between the business district and smaller scale residential areas. We respectfully ask that the city work with the East Midtown Steering Committee to arrive at a daylighting evaluation methodology that truly protects our public realm from further impacts on light and air.